Our product range includes a wide range of conical soup strainer, colour deep colander, cutlery holder, cutlery holder with stand, deep colander and lemon squeezer. Owing to the expertise of our team of experienced professionals, we are able to manufacture and supply an exclusive range of Strainer. 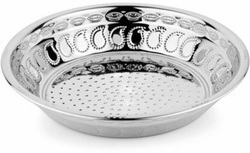 In line with clients' variegated requirements, we bring forth a distinguished collection of the Colour Deep Colander. The offered basket is manufactured by our competent professionals by utilizing superior quality steel and latest technology. Moreover, a team of our experienced quality controllers conducts a series of quality tests on the entire range to seek out any possible defect. In tune with international standard, we provide the entire basket in diverse customized options and industrial leading prices. 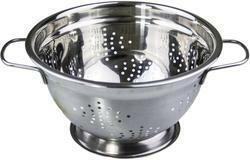 Keeping in mind, ever-evolving requirements of our valuable clients, we are offering an exclusive range of Deep colander. Besides being manufactured from high-grade steel and latest technology, the offered masher is inspected properly by our competent professionals. These are widely used to mash boiled potato & other boiled vegetables. Due to features like durability and sturdiness, the offered range is exceptionally valued by our precious clients. 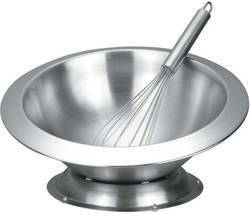 The offered masher is available with us in diverse sizes and shapes at affordable price. 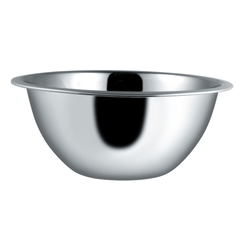 Backed by sound infrastructure, we are able to provide patrons with superior quality Stainless Steel Double Wall Bowl. Owing to the expertise of our team of experienced professionals, we are able to manufacture and supply an exclusive range of Steel Sev Sancha With Ring. Owing to the expertise of our team of experienced professionals, we are able to manufacture and supply an exclusive range of Twin Cutlery Holder With Stand. 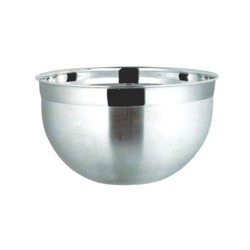 Owing to the expertise of our team of experienced professionals, we are able to manufacture and supply an exclusive range of Anti Skid Deep Mixing Bowl. 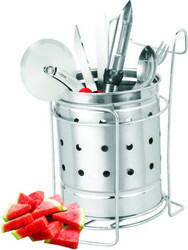 Backed by sound infrastructure, we are able to provide patrons with superior quality Colander with Long Handle. Backed by sound infrastructure, we are able to provide patrons with superior quality Deep Boya. 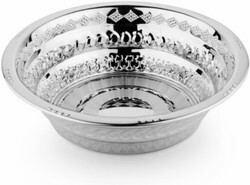 Backed with rich experience and knowledge in this sector, we are considered to be one of the most professional manufacturers and exporters of Finger Bowl. Backed with rich experience and knowledge in this sector, we are considered to be one of the most professional manufacturers and exporters of Footed Bowl. 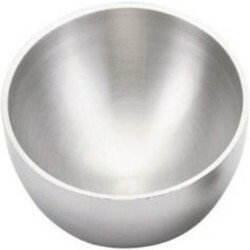 Backed with rich experience and knowledge in this sector, we are considered to be one of the most professional manufacturers and exporters of German Mixing Bowl. 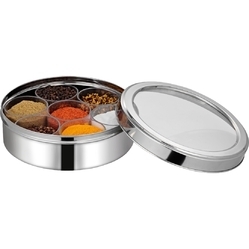 We have firmly positioned ourselves as leading manufacturer, exporter & wholesaler & supplier of Steel Masala Dani. 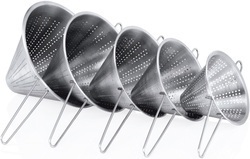 Our competent professionals manufacture this strainer by making use of high-grade material and high-end technology so as to maintain the set industry standards. 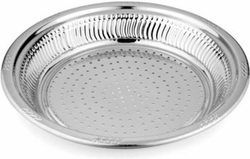 To make a flawless dispatch from our end, our offered strainer is rigorously inspected by our experienced quality inspectors against diverse parameters. 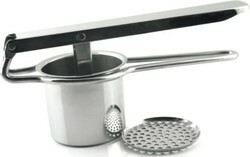 This strainer is broadly acknowledged by our clients for its easy to use and sturdiness. 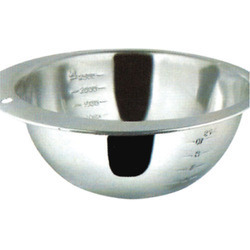 Owing to the expertise of our team of experienced professionals, we are able to manufacture and supply an exclusive range of Measuring Bowl. Backed with rich experience and knowledge in this sector, we are considered to be one of the most professional manufacturers and exporters of Pet Bowl Top Embossed Anti Skid. Owing to the expertise of our team of experienced professionals, we are able to manufacture and supply an exclusive range of Potato Masher. Our reputation in the market is largely attributable to our precision-designed Serving Tools. 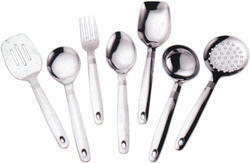 These innovative ranges of tools are widely demanded in diverse industries for meeting diverse applications. To maintain industry defined quality standards, the entire range is manufactured using quality proven steel and cutting-edge technology. 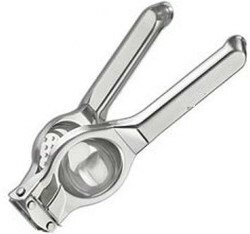 Also, these serving tools are examined properly by our experienced quality controllers upon distinct parameters of quality. Packaging Details: AS PER CUSTOMERS SPECIFICATION Packed in Brawn Carton Box. EACH PIECE IN A POLYBAG AND MULTIPLE PIECES PACKED IN A CARTON. Backed by sound infrastructure, we are able to provide patrons with superior quality Soup Strainer. 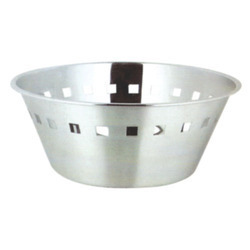 Backed with rich experience and knowledge in this sector, we are considered to be one of the most professional manufacturers and exporters of Stainless Steel Bread Basket. 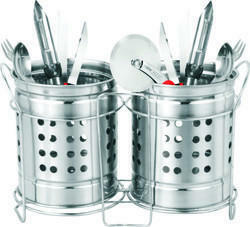 Backed by sound infrastructure, we are able to provide patrons with superior quality Stainless Steel Fruit Basket. 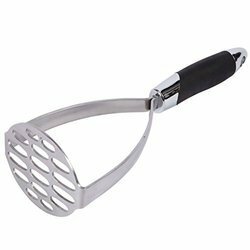 Owing to the expertise of our team of experienced professionals, we are able to manufacture and supply an exclusive range of Stainless Steel Potato Masher. 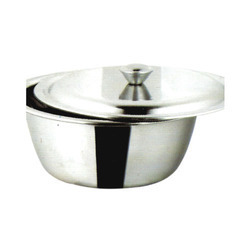 Backed by sound infrastructure, we are able to provide patrons with superior quality Steel Step Bowl. Being a quality-oriented organization, we are engaged in providing a wide array of Step Boya Plain Strainer. 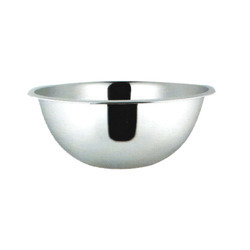 The offered bowls are manufactured using quality assured steel and advanced technology at our end. In tune with different requirements of our copious clients, we customize this bowl in diverse sizes and shapes. Our offered bowls have gained exceptional value amongst our clients for its defined features. 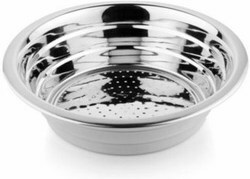 We have gained a remarkable position in the industry by offering a qualitative assortment of Strainer. 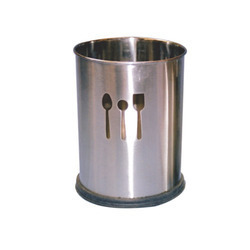 These holders are manufactured using premium quality proven steel and advanced technology. Further, our experienced quality controllers check this holder on stringent parameters for ensuring its compliance with the defined industry norms. 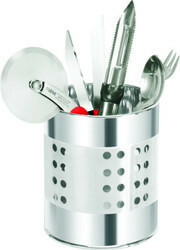 In addition to this, our esteemed clients can avail these holders from us in diverse customized options. Moreover, clients can get these holders from us pocket friendly prices. Backed with rich experience and knowledge in this sector, we are considered to be one of the most professional manufacturers and exporters of Whip Bowl with Whisk. 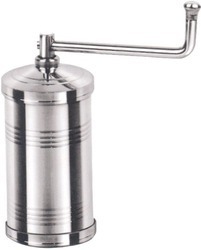 We are one of the leading manufacturer and supplier of Brass Kerosene Stove. 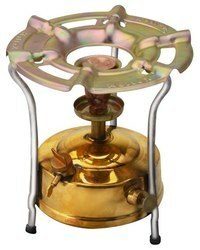 We obligated to meet the quality Brass Kerosene Stove. Backed with rich experience and knowledge in this sector, we are considered to be one of the most professional manufacturers and exporters of Deep Mixing Bowl.